J.G. : Client allegedly was weaving back and forth between lanes and speeding. He refused a blood test. Found “Not Guilty” of DUI after a trial in Kansas City, Kansas. T.M. : Client stopped for speeding, allegedly failed field sobriety tests and gave a breath sample of .093%. He was found “Not Guilty” of DUI after a trial in Johnson County District Court. J.D. : Client was stopped in parking lot of a bar in Overland Park, failed field sobriety tests and gave a breath test sample of .220%. 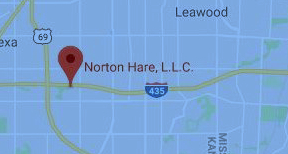 After Norton Hare, LLC’s involvement, felony DUI charges were declined by the Johnson County DA’s Office and the client never had to go to court. J.B.: Client was found sleeping in his car outside of a convenience store in Merriam, Kansas. After failing field sobriety tests he was given a breath test and blew a .164%. The DUI charge was dismissed by the Merriam Municipal Court. D.W.: Client stopped for Exhibition of Acceleration leaving the parking lot of a bar and grill in Olathe, Kansas. He refused the breath test. The DUI case was dismissed before trial. C.W. : Client arrested for DUI after a car accident in Overland Park, Kansas. He was found “Not Guilty” by the court. D.H.: Client stopped for swerving in downtown Leavenworth, Kansas. He failed field sobriety tests and refused a breath test at the jail. After trial, he was found “Not Guilty” of DUI. D.H.: Client charged with a felony DUI in Johnson County District Court after his stop for speeding in Gardner, Kansas. He refused a breath test. The jury found him “Not Guilty” of felony DUI. R. D.: Client stopped for speeding and swerving in Douglas County, Kansas. He failed field sobriety tests, admitted to drinking 14 beers at a wedding and blew a .154. The DUI case was dismissed before trial. N.P. : Client stopped for speeding and weaving in Douglas County, Kansas. He failed field tests and blew a .288% breath test at the jail. The DUI case was dismissed before trial. K.K. : Client here on business from Colorado and got stopped. He failed field tests and blew a .077%. The DUI case was dismissed before trial. C.M. : Client arrested for DUI in Lawrence, Kansas and took a breath test with a result of .171. DUI case was dismissed before trial. H.M.: Client was involved in a car accident in Lawrence, Kansas. He failed field sobriety tests and refused a breath test. DUI case dismissed before trial. C.H. : Client was stopped for speeding while lost in southern Johnson County, Kansas, and charged with DUI. Client was found “Not Guilty” after trial in Johnson County District Court. B.G. : Client was involved in a disturbance in Overland Park, Kansas and charged with a DUI when he drove back to the scene. He took a breath test and blew .171. The case was dismissed before trial. D.B. : Client stopped for not having taillights on and failed field sobriety tests. He refused the breath test and was charged with a felony DUI. The DUI was dismissed at the preliminary hearing in Johnson County District Court. J.O. : Client stopped in Leawood, Kansas for suspicious activity. He failed field sobriety tests and blew a .109 at the station. DUI charge was dismissed by the Leawood Municipal Court. B.W. : Client stopped for weaving in Overland Park, Kansas. He failed field sobriety tests and refused a breath test at the station. The DUI charge was dismissed on the day of trial. A.S.: Client stopped for drag racing in Gardner, Kansas, and charged with a DUI after field tests. DUI case was dismissed before trial. W.S. : Client was allegedly involved in an accident in which a vehicle hit an electrical pole and knocked it down. The client took a breath test at the Shawnee Police Department and blew a .273%. After trial, the client was found “Not Guilty”. M.K. : Client was stopped in Mission, Kansas and failed field sobriety tests. He blew a .150% breath test at the station. DUI case dismissed before trial. L.C. : Client was stopped for failure to use her turn signal and failed sobriety tests in Overland Park, Kansas. She blew a .147 breath test at the station. Her DUI case was dismissed on the day of trial. S.S.: Client stopped for hitting the curb in Prairie Village, Kansas. She was arrested for DUI and taken to the police station where she blew a .145% breath test. The DUI charge was dismissed before trial. J.S. : Client stopped for speeding in Mission, Kansas. He was arrested and blew .105% at the station when asked to submit to a breath test. The judge found him “Not Guilty” of DUI following trial. T.B. : Olathe police made contact with client after receiving a tip about an alleged drunk driver. After submitting to field sobriety tests on the scene, he was arrested and taken back to the station where he refused the breath test. The DUI was dismissed on the day of trial. D.H.: Client was stopped for swerving in his lane in Miami County and submitted to a blood draw with a result of .18. The DUI charge was dismissed after the court granted our motion to suppress evidence for an unconstitutional stop. T.H. : Client was stopped in Douglas County and charged with DUI. The DUI charge was dismissed after the court granted our motion to suppress evidence for an unconstitutional arrest. E.E. : Client was stopped in Douglas County and charged with a second time DUI. After Norton Hare’s involvement, the Douglas County District Attorney’s Office declined to file the DUI charge. R.R. : Client was arrested after almost striking two police officers investigating another collision. Client was charged with a DWI. The DWI charge was dismissed prior to trial.